Fort Fraser, Fraser Lake and Endako are situated along a thirty-two kilometer stretch of Highway 16, approximately one hundred and thirty-five kilometers west of the city of Prince George. Fraser Lake is the largest of the three settlements, having attained village status in 1966. It was not always so, however. During the construction of the Grand Trunk Pacific Railroad, Fort Fraser was well on its way to becoming a city with a population upwards of three thousand. Endako which was a divisional point for the railroad, had a population estimated at one thousand. 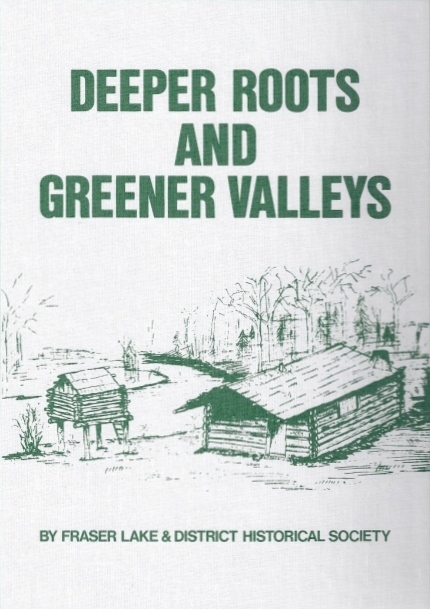 The writings and memories of many people are contained in the pages of this volume. The underlying theme in each story is the deep love that the pioneer felt for this barely accessible wilderness which they called home. To read this fantastic book of history, you may borrow it from the Fraser Lake Public Library, or purchase your own copy from Par 3 Sports located in the Fraser Lake Mall.